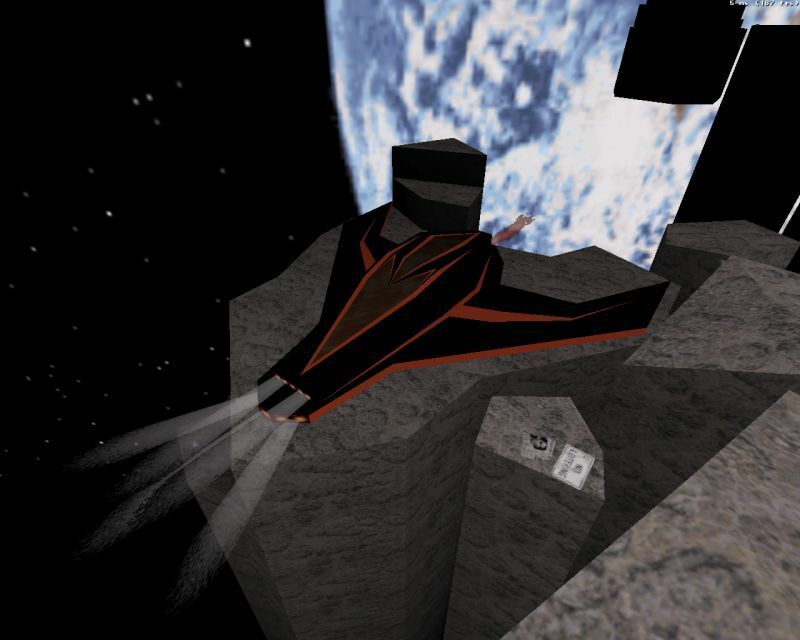 The Review: JMW made his Duke3D single-player debut only about a month ago. Duke has crawled out all the way from the bowels of a temple and made it to the Earth's orbit, where the aliens have set something up. The map consists of two asteroid-like rocky objects with some man-made structures on them. After clearing them out, Duke takes the battle to the aliens' ship. 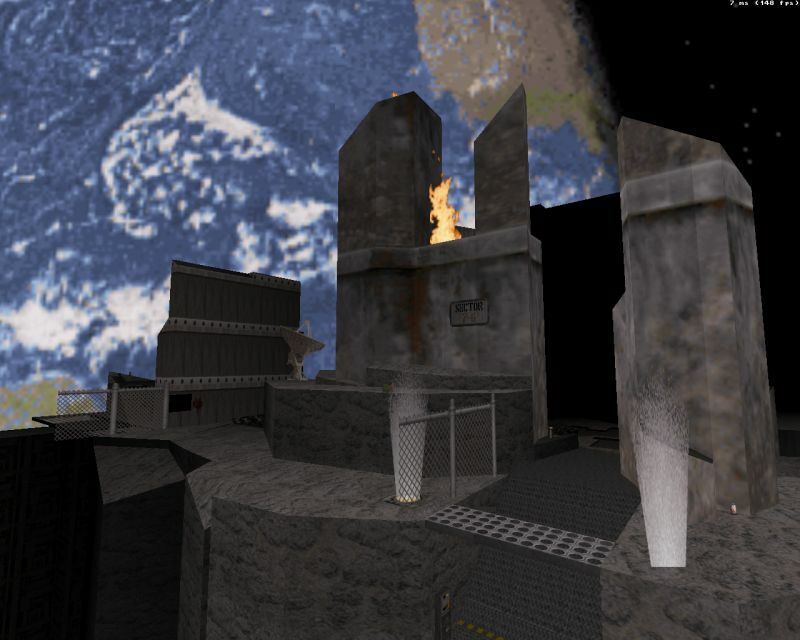 The map reminded me so much of Facing Worlds, the classic Unreal Tournament map, that during my second playthrough I had to play that map's music track in the background rather than the included custom track (which too is good but more action oriented). This variation (an asteroid base) of the space theme is so rarely used that the map felt like a breath of fresh air into Duke3D's otherwise generic space-themed maps. The biggest problem I had with the map, however, was its low visibility. It'd serve the map much better if the player were able to view the whole structure from a distance with more emphasis on high-contrast "3d lighting" (different shade values on adjacent walls) rather than shrouding everything in black fog. There are some noticeable bugs too: You can fall off the asteroids without dying, getting permanently stuck in the process; the ground has a palette value of 3 across the map, causing some unintended visual confusions such as being unable to separate Assault Captains from regular Troopers and having all keys look the same; and, finally, there's one key that you don't need at all. I also found the last segment, the alien space ship, a bit dull looking with its nearly uniform light level, but there's also a cool easter egg near the end of the segment. Like its predecessor, JMW-SP2 features a highly enjoyable and balanced gameplay. It's not a very big map though; both of my playthroughs took just 10 minutes. In any case, this is a fun map with a refreshing theme so don't miss it.